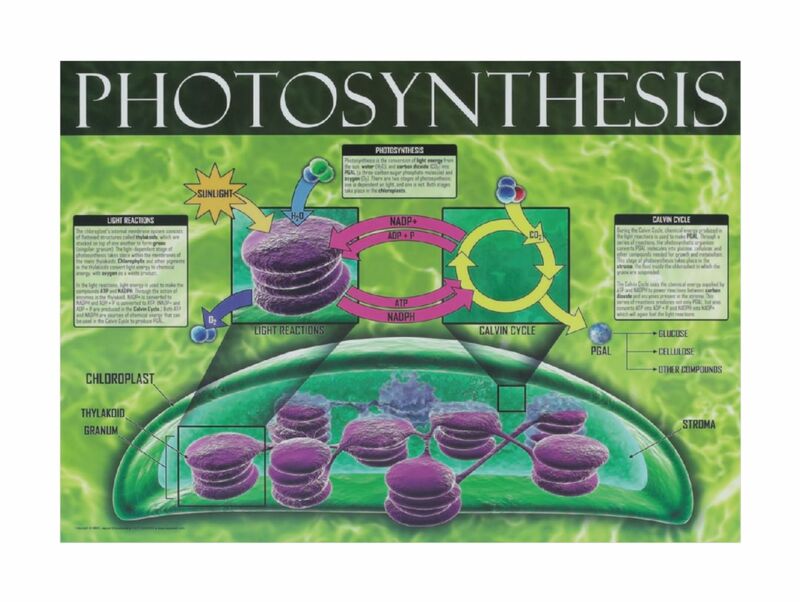 Colorful, labeled diagrams and descriptive text highlight the most important structures and processes found in plant and animal cells in these two informative charts. 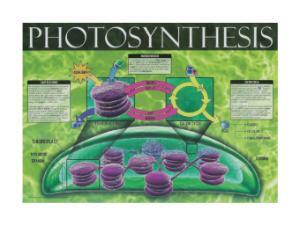 The Photosynthesis chart features a detailed cross section of a chloroplast that is labeled with descriptive text discussing light reactions and the Calvin cycle. 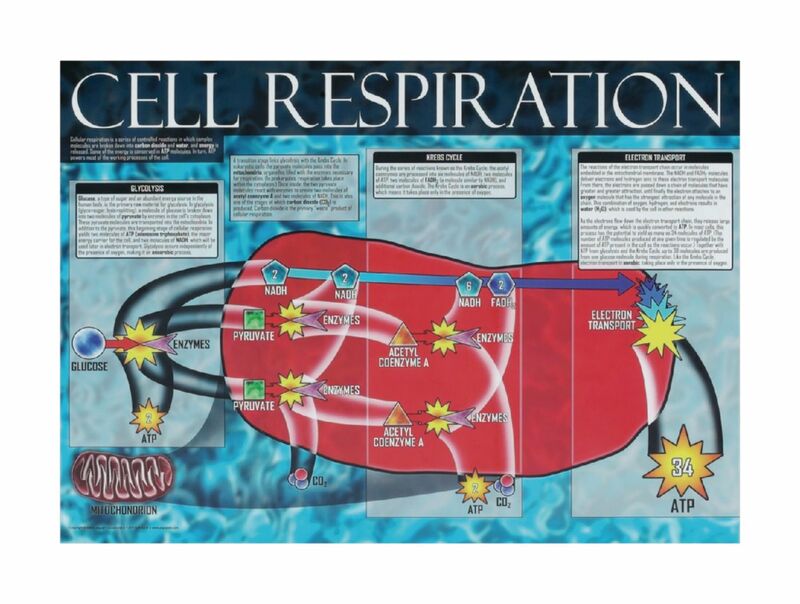 The Cell Respiration chart illustrates the gross structure of a mitochondria along with descriptive text that explains glycolysis, the Krebs cycle, and electron transport.